Want to know more about JHC Landscapes? 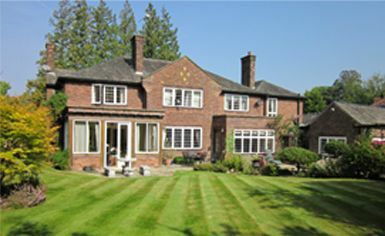 JHC Landscapes is an established and experienced landscape gardening company in Knutsford, Cheshire. Our team of experienced gardeners offers a diverse range of gardening services from garden design to garden maintenance all customised to the individual requirements of our customers. We are committed to creating high quality garden landscapes through creative design, craftsmanship and extensive horticultural expertise. We work with locally sourced natural materials and utilise only sustainable and organic gardening techniques in all of our gardening services. We are a dedicated, hard working team and really care about the gardens we create. In fact we like to believe we set the benchmark for design, quality and workmanship in the landscape garden design business. It’s also our list of satisfied customers who are so pleased with the quality of service we provide. We are committed to providing high-quality gardening services that our customers can rely on. 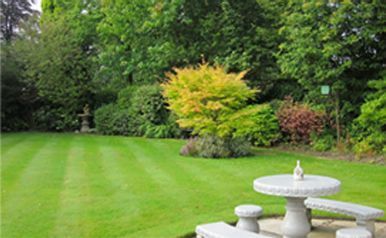 This is one of the most important elements of the Cheshire Landscape Gardener ethos and all our gardening services are delivered to a high standard. We combine our passion and expertise with meticulous attention to detail to ensure that all the gardens and landscapes we work in are constructed and maintained to the highest possible standards. We use new and reclaimed, locally sourced natural materials, coupled with a high level of craftsmanship and sharp project management to ensure the perfect balance between quality and sustainability. As well as providing you with the best possible gardening services to suit your needs, JHC Landscapes also aims to demonstrate a strong commitment to sustainability and the environment in all our work. We manage all aspects of our products and services closely to ensure that you are getting the greenest and most environmentally friendly service be it through the use of locally sourced materials in our garden designs, organic lawn careor by composting all our green waste.